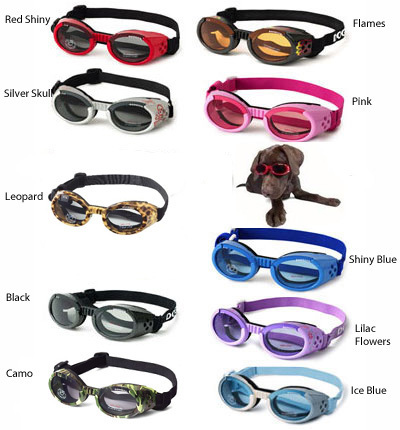 These items are not novelty items, but rather professional quality goggle for your dog. They do look great on a dog and attract a lot of positive attention. They have been use by the military, including the U.S. Navy Seals for years. They are used by the military to protect their K9s while in hostile environments and for use while parachuting. -wind and harsh air currents. BEFORE ORDERING CONTACT US TO SEE WHAT SIZES AND STYLES WE HAVE IN STOCK!!!!!!! All applicable taxes included in price. Welcome to the TRACKERS EDGE web page!